If you're going to survive the elements this winter, you need to be properly prepared. Above: a wintry mix. The worst thing. For the purposes of this guide, I’m going to assume we’re talking somewhere between 0°-45° F, possibly windy, between dry and light snow. If it’s raining or sleeting, waterproofing is a must on top of your normal gear. Alternatively, bargaining with an opponent for a game to 7 is always a good option. When gearing up for a winter tournament, I like to split my packing list into two categories: on the field and on the sideline. On the field, you want to be just barely warm enough. Even when it’s cold, you can still overheat, and play suffers. A rule of thumb for on the field is to dress as if you were standing on the sidelines in calm conditions about 20° F warmer than the current conditions. For example, if it’s 60 degrees, and you’re comfortable on the sideline in a lightweight long-sleeve and pants, then wear a lightweight long-sleeve and tights in 40-degree weather while playing. It’s not a hard and fast rule, but works great as a starting point for deciding what to wear when you first head out. In addition, having lots of thin, technical layers on hand makes it easy to adjust quickly if you get uncomfortable. On the sideline, in contrast, you can never be too warm. Sideline clothes are your biggest, fuzziest, coziest jacket, and your favorite animal hat. They’re basically a mobile yurt for you to recover in while you get ready to go back on the field and be just warm enough for another couple of points. Ideally, your sideline clothes are worn by your less prepared teammate or your brave, selfless coach while you’re on the field, so they’re warm to come back to. With those two concepts in mind, here’s what’s in my bag1. This list is broken down into upper body apparel, lower body apparel, and accessories. In each category there are three levels of warmth, that roughly correspond to still air temperature ranges. For significant wind or snow, add a thin, windproof shell to the upper body list (ex. Salomon Escape) and go to the next-coldest temperature group for the lower body. 20°-40° F: Full-length tights. Eastbay often has store-brand tights for a good price. Gloves. Ultimate-specific gloves have been debated ad nauseam on the internet, so ask your friends and take your pick. I’m also partial to the hands-in-pants method, effective while on the line and during stoppages, which usually keeps my hands warm enough to get through a point (I’m not a handler). Definitely gloves. Unfortunately, ultimate gloves aren’t really designed for warmth, and other, warmer gloves can be quite thick. Running gloves with leather palms can do the trick; buy them a size small to help with grip. A team favorite in college was the Atlas Therma-Fit work gloves—extremely cheap, ridiculously warm, but not effective in wind. Your best bet is to go to your local outdoors store with a friend and a disc, and try on gloves while tossing. The best sideline trick for cold weather is to stick some chemical handwarmers in a pair of mittens at the beginning of the day, and put them on every time you come off the field (pockets work too, but I like having my hands available). They stay warm for the entire day, and allow you to get away with thinner gloves on the field. Buy in bulk and share with your team, or just get one box that will last you the whole season ($25 for 40 pairs on Amazon). Ski jackets and giant parkas are a no brainer, preferably something with a hood. Bring your sleeping bag or a heavy blanket out to the field to have something to easily throw over your shoulders and take off as necessarily. Penguin-ing works: huddle with teammates for warmth. Good winter gear is, unfortunately, quite expensive. However, I’ve found that quality items last 6-10 years, and most outdoor companies have lifetime warranties, which helps justify the expense. Store-brands can make good substitutes at the higher temperatures, especially base layers. Costco has great prices on solid-quality gloves, mittens, and socks. Lastly, safety is important. Frostbite is the biggest risk when exposed to cold temperatures and wind for extended period of time. Still air temperatures of 25° F and below can present a frostbite risk if exposure is more than 2 hours4. Covering all exposed skin mitigates this risk. Hypothermia can be a concern for lighter weight players. Exercise-induced asthma is exacerbated by cold. There are likely other conditions made worse by adverse weather as well, so be cognizant of your limits and talk to your primary care physician if you have concerns. Be aware of local weather alerts and safety recommendations. Warm players are safe players are happy players. And remember, snow is perfect for layouts. Alisha is a PhD student in mechanical engineering at MIT. While working on her degree, she played 5 years for MIT's Smite and captained for 3 of those years. She has also played for Boston club teams Mixed Nuts and Vice. 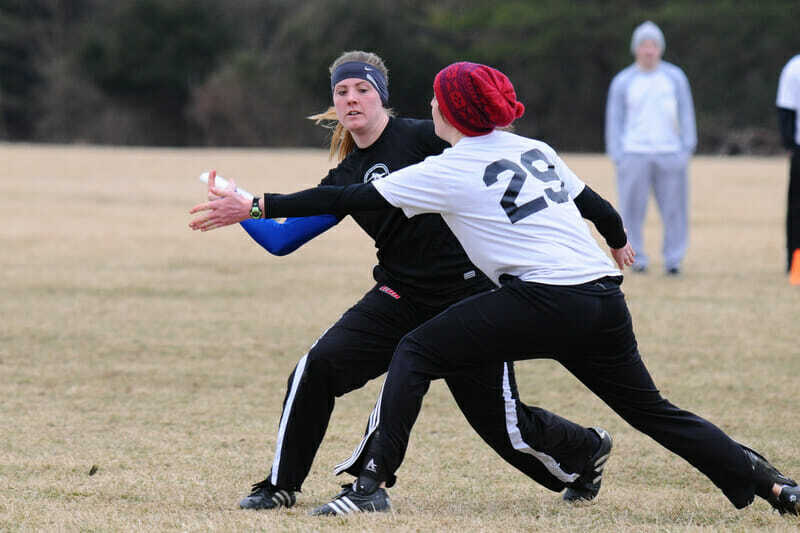 Comments on "Tuesday Tips: A Winter Packing List For Ultimate Tournaments"